This week I cast on (and finished) a cute little beaded bag. 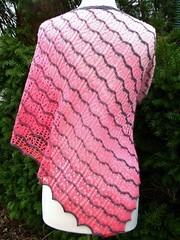 It’s my prototype for a class I’m teaching at Unforgettable Yarns during the second week of July. More on that this Friday!